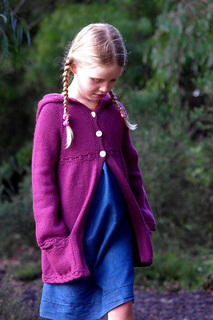 This e-book contains three patterns; Annabel 8ply, Annabel Aran and Annie. 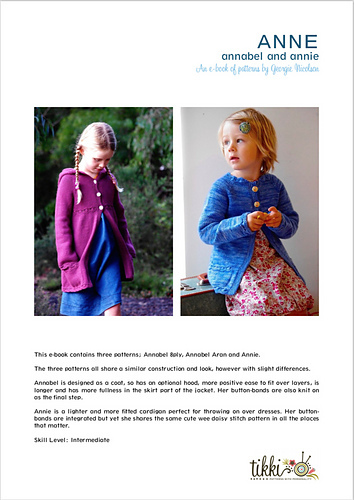 Annabel is a jacket with optional hood and Annie is the cardigan version. Both share the same daisy stitch adornment. Both are knit seamlessly from the top down using a raglan construction. Both have cute little pockets. 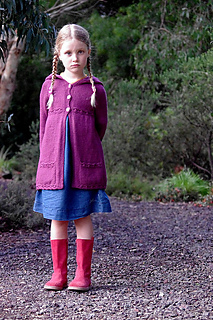 Annie has less ease, and is knit all in one piece, including the button bands. 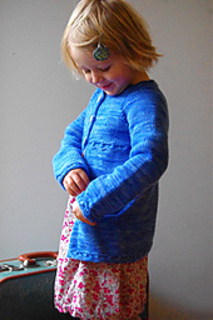 Annabel’s buttonband is knit on as part of finishing. Annabel has an optional hood. Annabel’s skirt is fuller and the overall length longer.